You're not just buying a pre-design, you're buying a piece of art. You’re not just buying a pre-design, you’re buying a piece of art. 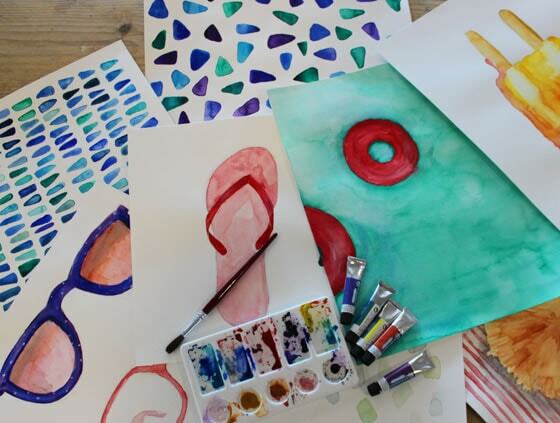 In the middle of a busy week at albelli, with everyone buzzing about and glued to their screens, Joline (one of our talented designers) sits quietly at her desk, paint brush in hand, calmly dipping it into different watercolour paints to create summery flip flops, star fish and straw umbrellas. Sure, it seems a little curious to see watercolour paintings in an office so dominated by all things computer-related. But take a closer look and you’ll see the beginnings of what eventually became the Beach holiday pre-designed photo book. 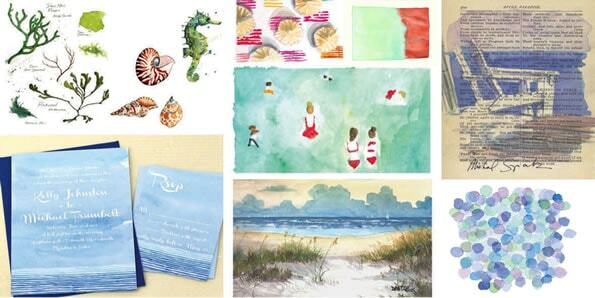 In order to get started, Joline carefully compiled an inspiration board to get her creative juices flowing. 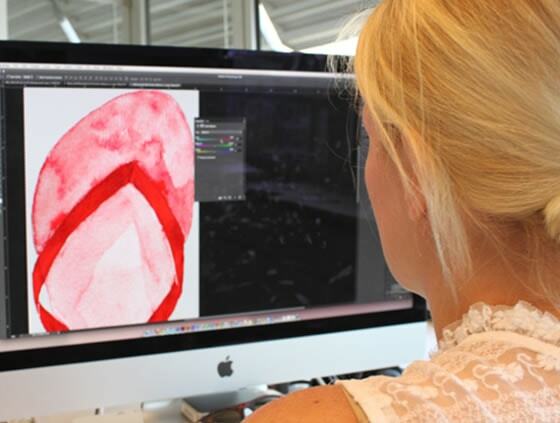 After creating several beautifully detailed paintings, she then selected her favourites to digitally convert into the clip art design elements that frame your photos. The result is breath taking! That’s why you’re coming away with actual works of art when you opt for one of our pre-designed photo books!